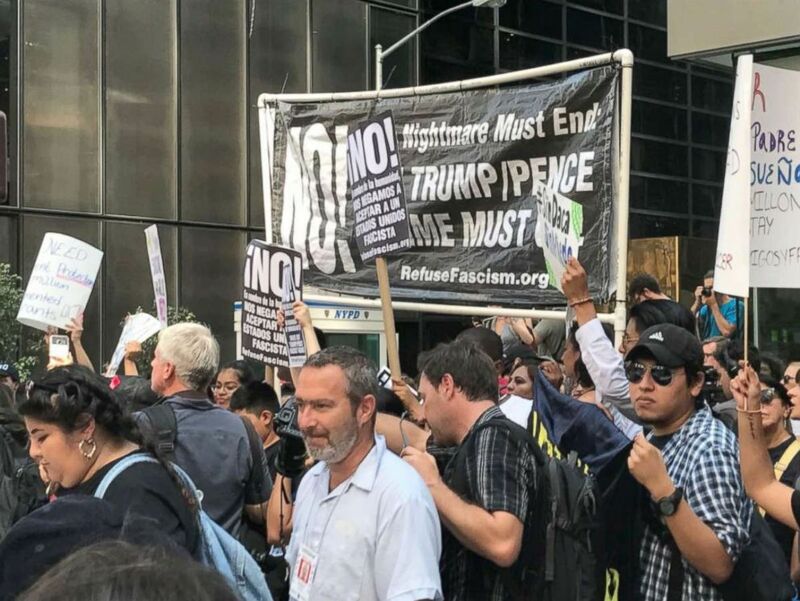 Dozens of protesters were arrested in front of Trump Tower in New York in one of many nationwide protests after Tuesday’s announcement that the Trump administration is ending the Deferred Action for Childhood Arrivals (DACA) program, five years after it was introduced. A total of 34 people have been arrested, according to the New York Police Department. No injuries to protesters or police officers have been reported, and the crowd has thinned since it started. If protesters were cooperative and turned over their personal information to police, including name, address and date of birth, they were given a special ticket and were not fingerprinted, officials said; those who refused to turn over their personal information were fingerprinted. 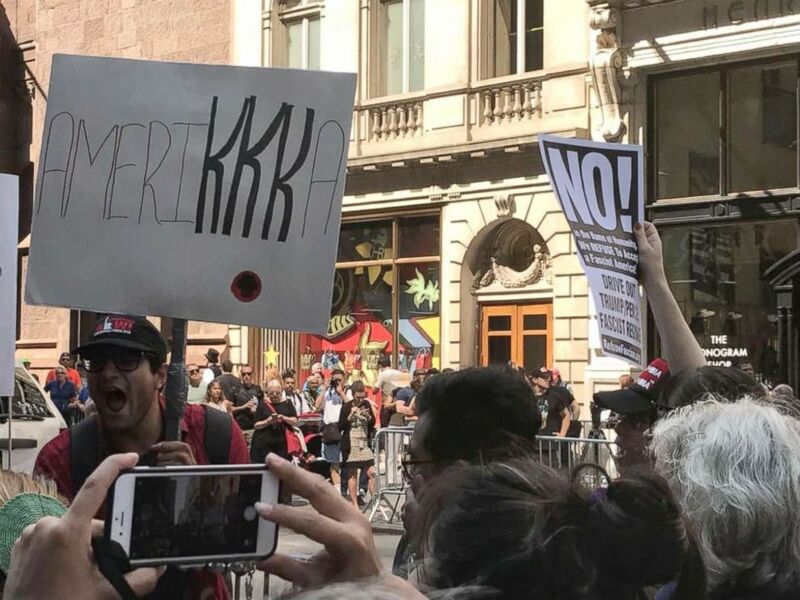 Protesters outside Trump Tower in New York City on Tuesday after the Trump administration announced a plan to phase out DACA. 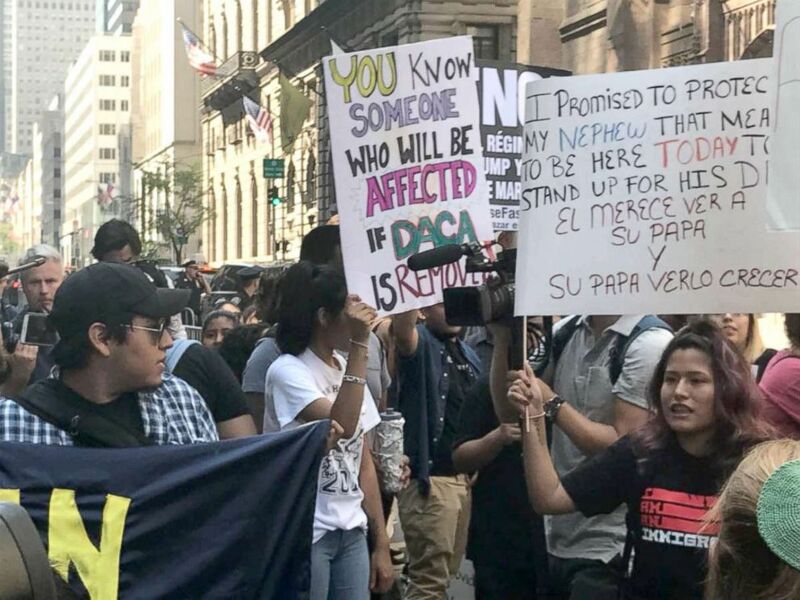 New York City Mayor Bill de Blasio urged DACA beneficiaries to be cautious about protesting. "Obviously if someone, now with this new information that we are getting out of Washington today, is a DACA recipient, I would urge them to be very careful about anything like civil disobedience. There are many other people who can undertake the civil disobedience. I wouldn’t advise the DACA recipients to do it. In this city, there has been an approach that it is mindful,” de Blasio said. A number of the chants at Trump Tower today directly called out DACA, with some protesters shouting "When DACA is under attack, what do we do? Stand up, fight back!" The demonstrations started shortly after Attorney General Jeff Sessions announced this morning that DACA is being rescinded. The program protects young people who were brought to the United States illegally as children from deportation. 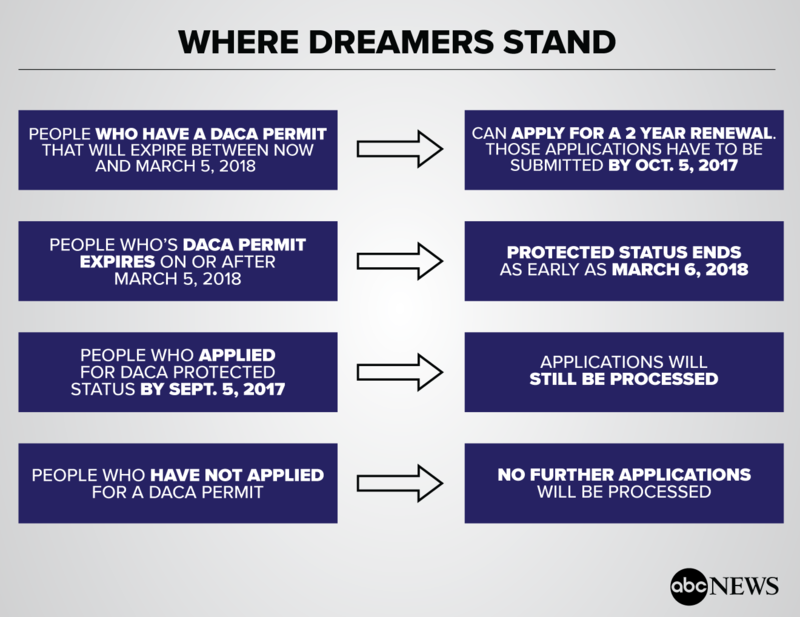 Since the program’s initiation in 2012 by the Obama administration, nearly 800,000 undocumented immigrants who came to the U.S. as children have been granted protection under DACA. Protesters also gathered in Washington, D.C. The demonstrations started as a rally outside the White House, then shortly after 11 a.m. protestors marched down 15th Street, then south on Pennsylvania Avenue. No arrests have been reported there. Hundreds of Chicagoans marched through the Loop before congregating at a rally in Federal Plaza on Tuesday afternoon, where DACA recipients spoke to the assembled crowd. The marchers also took to ICE headquarters in downtown on West Congress Parkway. Police said there were no arrests. Southern Californians held a rally outside of Kenneth Hahn Hall of Administration -- the city's seat of government -- on Tuesday to protest the repeal of DACA. ABC affiliate KABC in Los Angeles said about 150 protesters gathered at the event along with public officials, including Mayor Eric Garcetti. Garcetti called the decision by Trump "cruel" and urged Congress to pass the DREAM Act "once and for all -- right now." California is home to about 220,000 DACA recipients, according to KABC, the most of any state. ABC News' Aaron Katersky, Chris Donato, Dominick Proto and Janet Weinstein contributed to this report.